Currently our states and nation are facing the debate of Free-Range Parenting versus Helicopter Parenting. They are two opposite, extreme styles of parenting that cause friendships to ends, neighborhood feuds to begin and parent on parent discrimination and judgements to occur. If you are unaware of these two opposite styles, let me share what Webster and Wiki have agreed as the best explanation. “Free-Ranged Parenting : Slow parenting (also called simplicity parenting and free range parenting) is a parenting style in which few activities are organised for children. Instead, they are allowed to explore the world at their own pace”. “Helicopter Parenting: a parent who takes an overprotective or excessive interest in the life of their child or children”. I would estimate that I am a 70/30 Free-Ranged/Helicopter parent. I believe that in general parents do what they feel is best for their children and what is most comfortable to them. It does not mean that they are wrong, just different. I try to trust my kids allowing them small outings to help them learn responsibility, self awareness and to find their own adventures in the world. My kids are all 6 and under so a limit does exist on how much independence they are allowed. Most parents do not see the issue with granting small freedoms to their children as long as it is age appropriate. Even if my kids believe that they are exploring on their own, I am just an earshot away with eyes always checking in on them. I am comfortable with this. Where I begin to draw the line is when the extremists twist situations around and blow it out of proportion. For example, the Helicopter neighbor who observes their next door neighbors Free-Ranged children playing in a fenced in backyard while their mother cooks dinner and finds it a case for social services to look into describing this condition as child neglect, endangerment, or abuse. I consider this extreme. I also heard a story on NPR about two children, age 6 and 10, walking themselves a mile to a park who were picked up by the police because of a neighbor calling it in. I have not fully decided on my position on this yet. I know when I was a kid I could ride my bike through the neighborhood, run off into the woods behind the house or even walk to the nearest convenient store. I remember my parents kicking me out to play outside and not come back till dinner. I have concluded that my generation was granted more freedoms than children are today. The funny fact is that today is considered a safer age then when I was growing up. Over spring break my parenting style was brought into focus. I never considered the way I raised my kids or treated them as being a topic of debate. When I had heard of this term “Free-Range” I knew that I would be researching it. The biggest thing I learned was that you are not going to please everyone with the way you raise your kids. I believe as long as they listen, are kind, and respect others then you are winning at parenting. In the spirit of letting the kids find their own adventure we went caving over their spring break. They were more adventurous, brave, and excited then some of the other kids and adults that went into it! 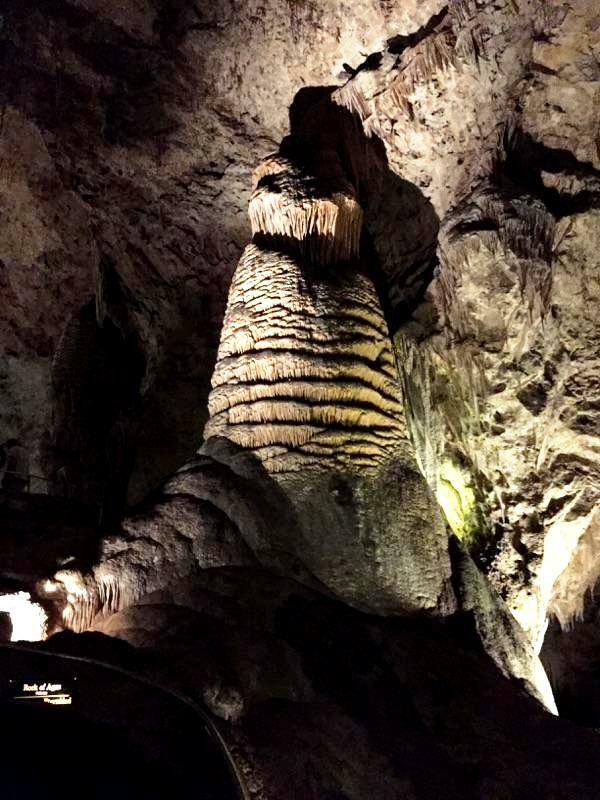 They followed all the rules given to respect the natural beauty of the caverns and enjoyed the freedom to use their imaginations to create stories while exploring and investigating in the dark.